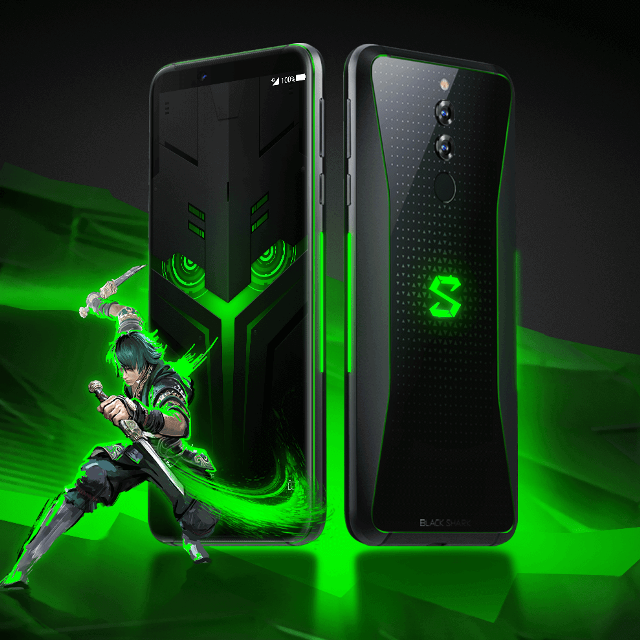 Though Xiaomi already markets the Pocophone F1 as their gaming line, let’s take a peek at some of the astounding features of Xiaomi’s new gaming champion: the Xiaomi Black Shark Helo. The Black Shark Helo has thinner top and bottom bezels than its predecessor (Black Shark) and has no physical key at the front. The device also has a noticeably sleeker exterior: with a patterned glass rear, streamline design and a curvier aluminum side frame for better landscape orientation grip. A dual camera setup is vertically mounted at the phone’s back panel. There’s also a rear-mounted fingerprint scanner below and a dual-tone LED flash accompanying the cameras. The Xiaomi Black Shark Helo’s front-firing speakers are located at the top and bottom edge of the frame. The device also has a WiFi antenna at the side of the device, for an uninterrupted signal during gaming sessions. 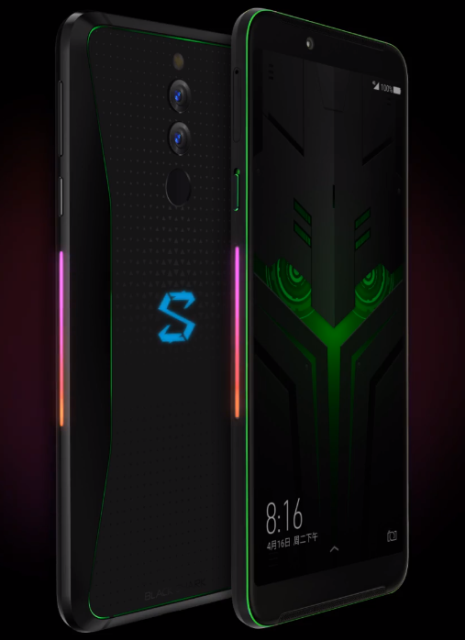 At 6.01 inches, Xiaomi Black Shark Helo has an impressive 18:9 AMOLED display, packed with an independent image processing chip. 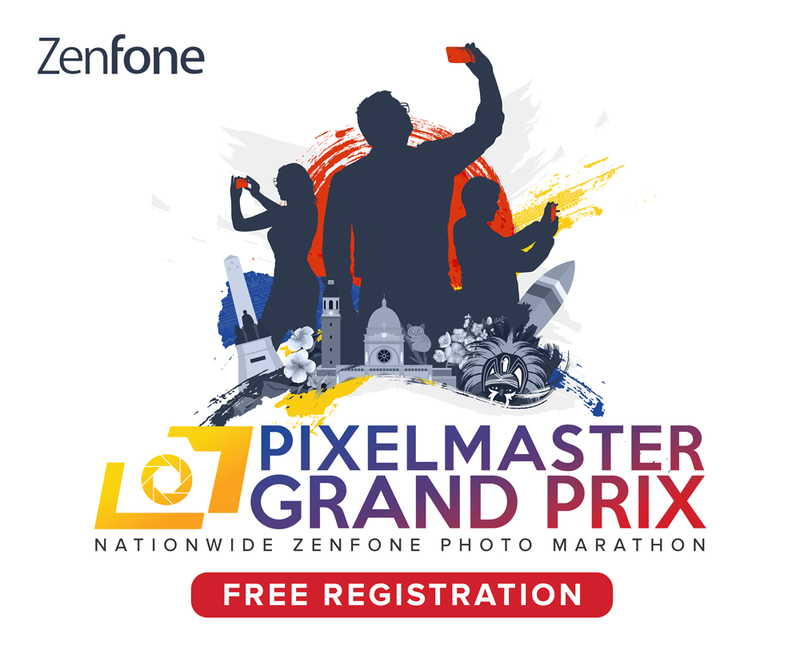 The chip supports DCI-P3 and SRGB gamut modes for richer visuals. The Black Shark Helo runs on Android 8.1 (Oreo) with Black Shark’s custom Android skin interface, JOY UI. The device has an interactive lighting feature with nearly 16.8 million RGB colors for immersive gaming. The feature’s stream color lighting effects are customizable based on different real-time battle interaction scenes and have multiple light modes. The brand logo at the back has an embedded LED lighting, as well as the two strips at each of the device’s side. At the rear of the Xiaomi Black Shark Helo, we can spot the vertically aligned dual cameras with 20 and 12-megapixel resolutions. The front camera has a 20-megapixel resolution. All of the device’s cameras support Portait Mode and Beauty Mode among other features. The Helo comes equipped with the latest Qualcomm Snapdragon 845. The company’s Sports Edition has a 10GB of RAM configuration with an impressive internal storage of 256GB. Xiaomi also gives users two additional options for their desired Black Shark Helo device: 8GB of RAM with 128GB storage and 6GB of RAM with 128GB storage. 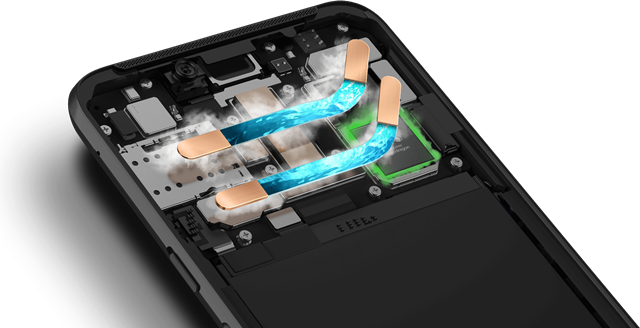 The Black Shark Helo has a built-in liquid cooling setup, having double row cooling pipes that can reduce the CPU’s temperature by 12 degrees. It also has a 4,000mAh battery with Qualcomm’s fast-charging support. New on this device is the dedicated two-stage Shark Space, which enables the device’s high-performance gaming mode. Also present in the Helo is the 10-second AI technology, which automatically recognizes the player’s best performance in the game. Gaming highlights could be shared to the world for guaranteed bragging rights. The Xiaomi Black Shark Helo and its accessories are currently available in China. The 6GB RAM/128GB Storage device is priced at 3,199 yuan (~ PHP24,442). The 8GB RAM/128GB Storage costs 3,499 yuan (~PHP26,734), and the Sports Edition (10GB RAM/256GB Storage) costs 4,199 yuan (~PHP32,083).